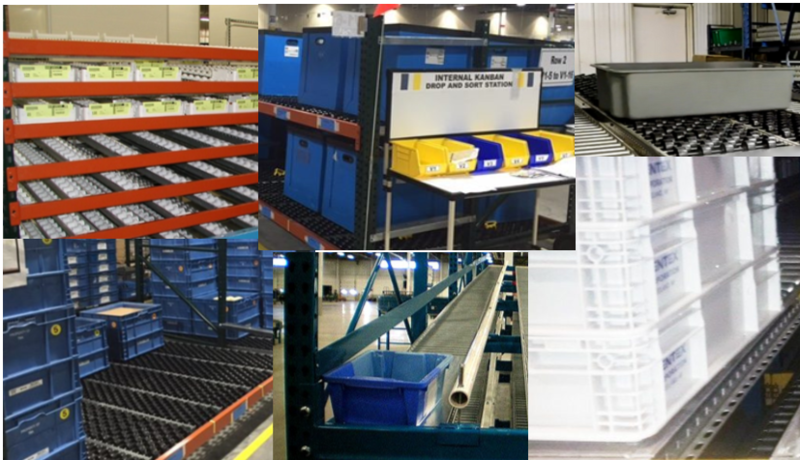 There are also many types of carton flow rack – Mallard, for example, offers six unique types used for a variety of carton and tote applications. With SO many bin/tote and carton flow variables, it’s important to carefully plan your carton flow rack design specific to your bin selection to assure that the two will work together in an optimized fashion. Is the bottom flat, uneven, or footed? Does the bin have a protruding lip? Selecting the right carton flow system based on bin size, shape and weight is the easy part. It starts getting tricky when using bins with an uneven or footed bottom vs. a flat-bottomed option. Similarly, design will take into consideration any features such as protruding bases or lips to ensure the cartons don’t hang onto one another as they arrive at the discharge end of the system. Rack Specs – we will also need to know your new or existing rack specifications in order to plan the carton flow lane design, mounting and set-up. Carton Flow Test – ALWAYS test the proposed carton flow lane with your bins and simulated loads to confirm the optimal system configuration. We can test in our In-house engineering testing lab or ship a carton flow test level to your facility to try out. 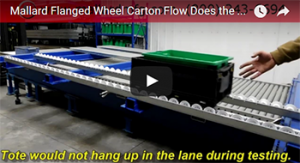 Here’s a great example of an in-house carton flow/bin storage test. The comparison is between Flo-Guide flanged wheel carton flow and Cart-Trak roller carton flow. The bin has a protruding lip on the bottom that could cause hang-ups so the Mallard team tested until we came up with a solution. Check it out to see which product was best suited for this bin and why. Ultimately, taking those first steps of choosing the right storage bin for your products or operation while also providing specs upfront to the carton flow design team will save slowdowns and inefficiency in the long run. When the final design is ready, it is with the assurance the carton flow system and picking or processing operation will meet your expectations and the needs of your warehouse and distribution team. If you have any questions regarding carton flow operation with bins or totes, please give us a call.